King, Stephen; pseudonym Richard Bachman. First edition of the last of the Richard Bachman novels. Octavo, original half cloth. Signed by Stephen King on the title page. Fine in a fine dust jacket. Jacket design by John Fulbrook III. Written circa 1973, this trunk novel, as Bachman's double (aka Stephen King) refers to it in his self-deprecating foreword, lacks the drama and intensity of Carrie and the horror opuses that followed it. Still, this fifth Bachman book (after 1996's The Regulators) shows King fine-tuning his skill at making memorable characters out of simple salt-of-the-earth types. Clayton Blaze Blaisdell has fallen into a life of delinquency ever since his father's brutal abuse rendered him feebleminded. 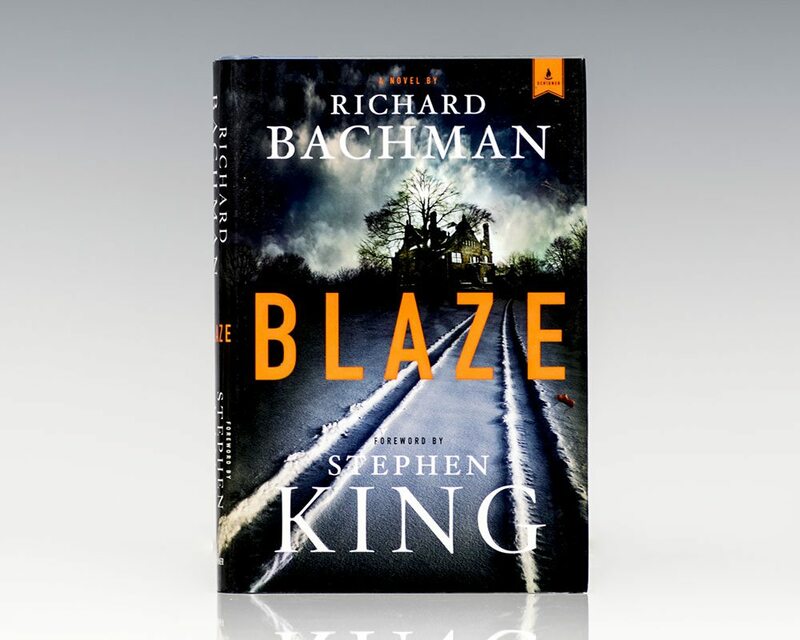 King alternates chapters recounting Blaze's past mistreatment at a series of Maine orphanages and foster homes with Blaze's current plans to follow through on a kidnapping scheme plotted by his recently murdered partner in crime, George Rackley. Blaze talks to George as though he's still there, and the conversations give the tale tension, with Blaze coming across as a pitiable and surprisingly sympathetic contrast to prickly George. Despite its predictability, this diverting soft-boiled crime novel reflects influences ranging from John Steinbeck to James M. Cain.